Book The Lady Bartender to teach at your next special event! My favorite class to teach, and the perfect beginner class to express your inner mixologist. Begin with the cocktail basics: a tour of pre-prohibition spirits including their history and how to use them. Next we'll move to tools, glassware and beginner mixing techniques. Leave with an arsenal of classic recipes and the hands-on experience to recreate them at home. 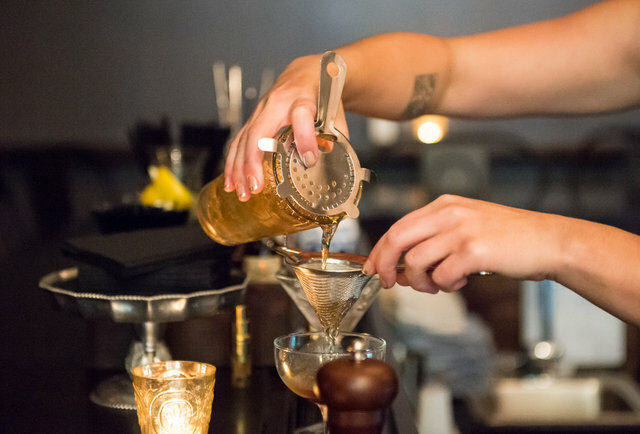 Enjoy a rare opportunity to taste through the bar basics and stir-it-up with the eyes of an expert bartender. Each class includes demonstration, recipes, cocktail tasting and snack pairing. Tool kits and take home packages will be available for purchase.